Attorney Mikovch has over 25 years of experience as a criminal defense attorney. In his criminal defense practice, he represents individuals charged with crimes ranging from felonies, misdemeanors and summary charges. 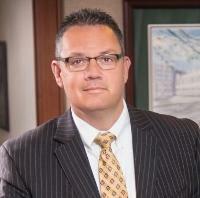 He has successfully defended clients in numerous jury trials with the end results being not guilty on all counts. Attorney Mikovch has represented clients against the Office of Children and Youth when people are wrongly accused of abuse and Indicated, and represents both plaintiffs and defendants in Protection from Abuse (PFA) hearings. He also represents individuals on state-issued license employment matters which may be affected by criminal charges or issues of misconduct, and has fought PennDOT to restore clients’ driving privileges. Attorney Mikovch is admitted to practice before all courts under the purview of the Pennsylvania Supreme Court, as well as the United States District Court for the Western District of Pennsylvania. Attorney Mikovch also specializes in real estate transactions. His real estate practice involves representation of borrowers, buyers, sellers and banks involved in real estate closings and refinancings.